In 2019, deferring your student loans is one of the best ways to get a handle on your outstanding debt, save up some money to catch up on late bills or emergency expenses, and prevent yourself from defaulting on student loan debt. When you defer student loans, you’re basically promising the federal government that you do plan on paying them back, but that you simply can’t afford to do it right now. Deferments are like IOUs, but official ones that save you a ton of money in the short-run for very little work. 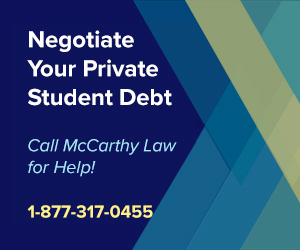 To qualify for a student loan deferment, you’ll have to contact whoever services your loan and apply for it via official channels, but you can rest assured that the process is easier than ever, and entirely worth the trouble. 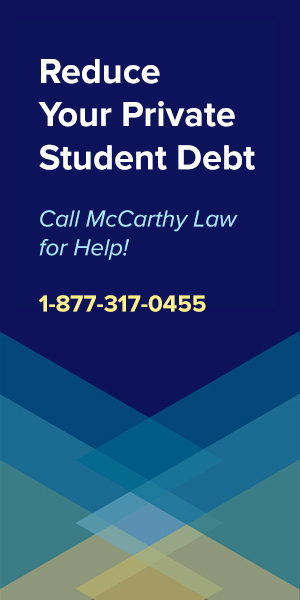 Before I explain all the details about how deferments work, let’s face the elephant in the room: you wouldn’t be on this page if you weren’t having trouble with your student loans, and I’ve got one big piece of advice for you: please consider paying an expert for help in reducing your debt! 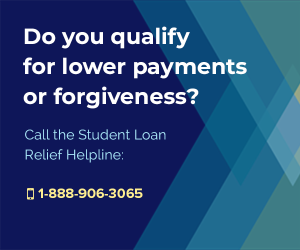 Student loan debt relief experts can help you reduce your monthly payments, qualify for discharges and forgiveness benefits, and ensure that you’re paying as little as possible toward your loans so that you’ve got enough money to do other things in life! 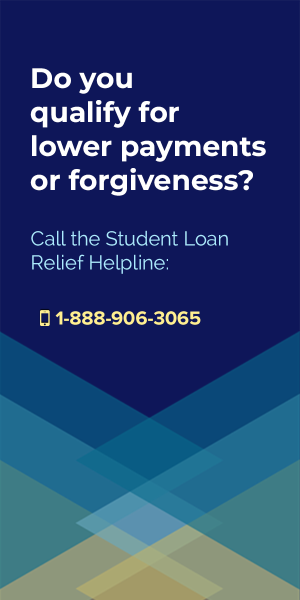 And while the industry is rife with Debt Forgiveness Scams, there’s one company who I trust, and who I send all my readers to: The Student Loan Relief Helpline. Why? 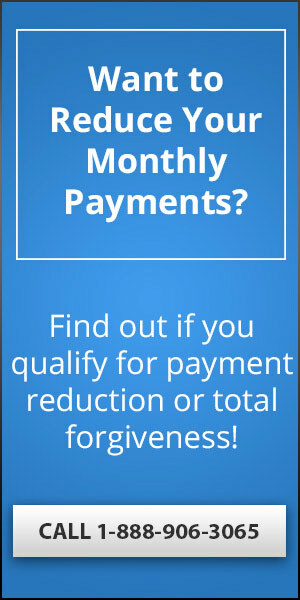 Because they deliver results, in the form of lower monthly payments and successful discharges and forgiveness applications. Your first call to the Student Loan Relief Helpline is free, and you’ll only be charged if you end up agreeing to let them handle your loans for you, so I recommend calling them, explaining your finances and situation, and asking what they think you should do. All you’ve got to lose is a few minutes of your time and you may be able to score some life-altering, incredible financial advice! 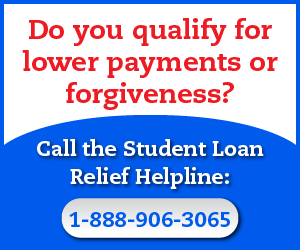 To get help with your loans, call the Student Loan Relief Helpline now at: 1-888-906-3065. The best part about the federal student loan deferment programs is that deferments are offered for a variety of reasons, from being unemployed to going back to school. Student loan deferments are incredibly effective at saving you money, reducing your monthly expenses and giving you time to get your financial house in order, so even though they do require a bit of work, be sure that you don’t dismiss them outright. Deferment is a period of time that your loan is put on pause, where the repayment of your principal, and potentially the interest too, of your loan are temporarily paused. 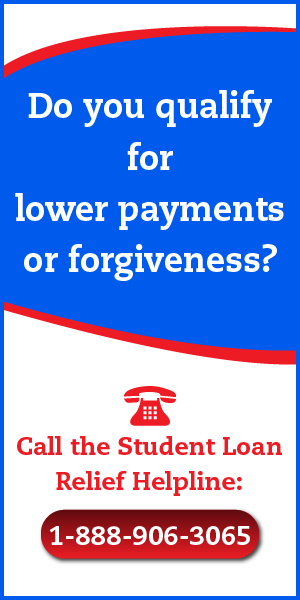 While your student loan is in a period of deferment, you don’t have to make loan repayments. Some deferred student loans continue to accumulate interest while they’re on pause, but others don’t (because the Federal Government will pay your interest for you!). This is an extremely important distinction, because it might be worth deferring federal student loans even if you aren’t having trouble making payments, as long as you won’t be responsible for the interest that accumulates while they’re deferred. However, if you are going to be responsible for interest accumulated during your loan deferment period, then you’ll only want to apply for the deferment program if you really can’t afford to make those monthly payments, and are trying to avoid defaulting on your loan. Which Loans Does the Government Cover Interest On? Which Loans Does the Government Not Cover Interest On? While you’re still responsible for paying interest on these types of loans, you won’t have to pay it during the period of time that your loan is deferred. Instead, it gets added to your payments after the deferment period ends. See the section below on capitalized interest for details. How Does Interest Accrual Work? How Does Capitalized Interest Work? Fortunately, it’s not all that hard to figure out what you’re eventual cost of capitalized interest will be. That’s because FinAid, one of the best resources on the web for information regarding student loans, offers a simple and free cost of interest capitalization calculator, which you can access here. Visit the link above and plug your loan details into their calculator to find out how much your capitalized interest will end up costing you over the long haul. In certain cases, the added cost makes a student loan deferment so much more expensive that it’s not worth pursuing at all, while in other cases, there’s hardly any added cost and applying for one becomes a no-brainer. To save yourself money over the long-run, it’s better to continue paying your student loan debt interest while your loan is in deferment, since that will prevent your debt from increasing at all. What Types of Loans Are Eligible for Deferment? Not all student loans were created equal, and some aren’t even eligible for federal student loan deferment. The first rule of thumb is that any loans in default aren’t eligible for deferment, no matter what. If you’ve already defaulted on your student loan, then deferment won’t be an option for you (and you’ve screwed up big time). To complicate things a little bit further, different loans will have different deferment options, depending on both the type of loan, and the date that it was initially issued. Volunteer Service Deferments – for those volunteering in organizations like the Peace Corps, AmeriCorps, etc. Different types of deferments are available for each of the different categories of Federal Student Loan. *Information was compiled from the official Government website on deferred student loans, here. Please note that there are actually far more types of deferments available than this table mentions, but that those included here are the most widely available loans. For a more inclusive list of deferment types, see the Types of Federal Student Loan Deferments section below. Special note: If you borrowed with a Direct Loan, or via the FEEL Program, and you have a loan that was first paid out before July 1, 1993, then you may be eligible for additional deferments for situations like teaching in a teacher shortage area, offering public service, being a working mother, parental leave, or temporary disability. Contact your loan servicer to find out if you qualify for any of these other deferment programs. Keep in mind that when you apply for deferment, you have to do so by requesting a deferment based on one of the qualifying reasons. And here’s a look at each of the available deferment types in detail. Qualifying for an Economic Hardship Deferment isn’t all that difficult, and is probably the most popular of the deferment types, since it’s relatively easy to prove. Economic hardship deferments last for a period of one year at a time, and are available for a maximum of three years in total. To calculate your eligibility for the economic hardship deferment program, visit Finaid.org and use their Economic Hardship Calculator.To apply for an Economic Hardship Deferment, fill out this formand submit it to whoever services your applicable student loan. The fastest and by far easiest way to get approval being to provide proof that you’re eligible to receive federal unemployment benefits. If you can’t do that, you’ll have to prove that you’re seriously searching for full-time employment, meaning a job that will involve at least 30 hours of work per week and which is expected to last for at least three months. This second option is much more difficult, since you’ll have to certify that you’re having trouble finding full-time employment, and that you’re registered with some sort of public or private employment placement agency. The great thing about the second option is that you do have the opportunity of receiving an unemployment deferment for federal student loans even if you’ve never had a full-time job before, so you can get this deferment as soon as you graduate from school! Each of the unemployment deferments lasts for only up to six months at a time, and requires that you reapply to extend the deferment period when it runs out. If you’re applying for a deferment under the seeking a full-time job category, then you’ll have to prove that you made six or more serious attempts to find a full-time position each time that you reapply. Unemployment deferments don’t last forever either – you can only receive a total of three years worth of unemployment deferments before you’re no longer eligible to take advantage of these, so don’t waste it on periods of time that you don’t really need the help. To apply for a federal student loan unemployment deferment, you’ll want to submit this form to whoever services your loan. Those with outstanding federal student loans who go back to school at any point may be eligible for an In-School Student Loan Deferment, which is an excellent benefit for those that qualify. As long as you’re enrolled in school at least half-time, and at a qualifying educational institution, you’ll be able to qualify for the in-school deferment program, which has no maximum time limit, meaning that you can utilize it for as long as you retain your half-time or more student status. Importantly, parent borrowers with PLUS loans disbursed on or after July 1, 2008 can also defer those PLUS loans as long as the student is enrolled at least half time at a qualifying school. Military service deferments are available for all three federal student loan programs, FEEL Loans, Direct Loans and Perkins Loans. This deferment is made available to military personnel and service members on active duty during during a war, military operation or national emergency, and to National Guard soldiers, reserves members and retired Armed Forces members called to active duty during a war, military operation or national emergency. Better yet, because of the fact that deployed military personnel are a little busy with other priorities, the military service deferment can be granted based on a request from the borrower’s representative (like his or her spouse, parents, dependents, etc.). Unlike many of the other types of federal student loan deferment, there is no time limit to military deferments, and the eligibility period actually runs to 180 days after you’ve been demobilized from active duty service, meaning that you’ve got 6 full months to take advantage of the program even after you’ve come home. To apply for a military federal student loan deferment, you’ll want to download this application form, fill it out entirely, and submit it to whoever is servicing your eligible student loan. There is one loophole in military service deferments though, in that some personnel called to active duty won’t end up being eligible for a military deferment (typically National Guard members in specific situations). To prevent this from causing significant problems, the Federal Government has made a mandatory forbearance program available to National Guard personnel who qualify for post-active duty deferments (get the details on that below), but who do not qualify for the traditional military service deferment, or any other deferments. Make sure to check out our website’s Guide to Military Education Benefits if you’re interested in finding other ways to cut back your education costs and utilize powerful benefits packages like the Post 9/11 GI Bill, the Yellow Ribbon Program or the Military Tuition Assistance Program. This deferment is technically called the “Active Duty Student Deferment”, but is really for those members of the military who were already enrolled in a college or other qualifying education program before being called to active duty, and who plan on re-enrolling again after they’ve completed active duty service. The program was created to ease the transition back to civilian life for service personnel who were actively pursuing their education, and had that interrupted by service commitments. Like the more-typical military service deferment program, it’s available for all three federal student loan types too – FEEL loans, Direct Loans and Perkins Loans. Post-Active Duty Deferments are available to individuals who are active-duty members of the Armed Forces, the National Guard, and the reserves, as well as retired members of the Armed Forces who have been called to active duty service either while they were enrolled in a qualifying educational program, or within six months prior to the time that they enrolled in school. Loan deferments under this program last for up to 13 months following the completion of active duty military service, as well as a “grace period” that lasts until a borrower either re-enrolls in school, or after the 13-month deadline runs out (whichever comes first). Like the military service deferment, you can only qualify for this particular deferment if you’re on active duty, but unlike the normal military service deferment, you can qualify for it even if your activation doesn’t come during a war, military operation or national emergency. All that has to happen to qualify for this student loan deferment program is that you get called to active duty while being a student, so it’s pretty simple! There’s a couple ways to qualify for federal student loan deferment programs if you’re a teacher, and it depends on the type of student loan you’ve got. If you’ve got an outstanding Federal Perkins Student Loan, you might be eligible for the incredible Teacher Loan Cancellation Program for teaching full-time at a low-income school, or in a subject area deemed to have a shortage of qualified teachers. You’re also likely to qualify for a load deferment if you meet the above conditions, though pushing for loan cancellation is likely a better idea since the benefit is significantly more valuable. To find out which benefits you qualify for, you’ll need to check with the school who issued your Perkins, FEEL or Direct Stafford loan. Only they can tell you whether or not you’re eligible to take advantage of the teacher loan deferment program. Keep in mind though that teachers also have better options than deferment available to them as well, like Loan Cancellation and Loan Forgiveness. For additional details on the opportunities you’ll have as a teacher, be sure to visit our page on Teacher Student Loan Forgiveness Programs. This is one of the simplest and easiest deferments to qualify for, where all that you have to do is get accepted into a graduate fellowship program. If you’ve already got an undergraduate degree and you’re currently studying in a graduate fellowship program full-time, then you’re likely to qualify for this deferment. But better yet, there’s no maximum time period for the deferment, so it’s likely that you’ll be able to qualify for it for the entire course of your fellowship, allowing you to focus on your studies, and forget about repaying those student loans. Those borrowers who’s parents took out a loan to help them pay for school, or who took out GradPLUS loans for graduate studies are able to defer federal student loan repayments until six months after graduating or leaving school. Parent borrowers or graduate or professional students with PLUS loans obtained on or after July 1, 2008 can defer those loans for 6 months following the date that the student ceases to be enrolled on at least a half-time basis. Anyone who serves as a full-time, paid volunteer for one of the ACTION programs, programs created in the Domestic Volunteer Service Act of 1973, VISTA, or AmeriCorps with at least a one year service enrollment is eligible for a domestic volunteer deferment, but only certain loans are eligible for these. First, this deferment is only available for those borrowers with Stafford or SLS loans that were disbursed before July 1, 1993, or for parent borrowers with PLUS loans that were disbursed before August 15, 1983. Consolidation loans aren’t eligible for the domestic volunteer deferment either. Domestic volunteer deferments are pretty powerful though – as they allow you to defer the loan for up to 36 months. Anyone working an internship or in a residency program can apply for a two year federal student loan deferment, but only if they have Stafford or SLS loans disbursed before July 1, 1993, or if the parents of those borrowers have PLUS loans that were disbursed before August 15, 1983. Consolidation loans don’t qualify for this deferment. Internship and residency programs must be leading to a degree or certificate from an institution of higher education, or take place at a hospital or health care facility that offers post-graduate training or an internship or residency program required before employees may begin professional practice or service. This deferment program is only going to be available for a very small select set of people because it has strict, tightly-targeted qualification restrictions. Employees on active duty at the National Oceanic and Atmospheric Administration (NOAA) may defer payments for up to 36 months if they had their first Stafford or SLS loan disbursed on or after July 1, 1987, but before July 1, 1993. PLUS and consolidation loans don’t qualify for the NOAA deferment program, and the 3 year maximum deferment can’t include time that the loan was deferred for either Public Health Services or Armed Forces deferments. This is another deferment that won’t be available to many people, since it’s only eligible to borrowers who got their first Stafford or SLS loan disbursed before July 1, 1993. PLUS and consolidation loans do not qualify for this deferment program at all. To get a parental leave deferment, you have to be pregnant or caring for a newborn or newly adopted child, and you must be enrolled in school at least half-time within the preceeding six months before your deferment started, but not currently attending school or working full-time now. Both mothers and fathers can qualify for a parental leave deferment when they are caring for a newborn or newly adopted child, and the maximum time period for each qualifying parental leave deferment is six months. Like the other loans above, the public health services federal student loan deferment program is only available to those with their first Stafford or SLS loan disbursed before July 1, 1993, or for parent borrowers, PLUS loans that were disbursed before August 15, 1983. However, this is a pretty powerful deferment program, as it allows you to defer repayments for up to 36 months if you’re serving full-time as an officer in the Commissioned Corps of the Public Health Service. That 36 months is inclusive of any other Armed Forces or NOAA deferment times that you use, but still, three years is a long time. This one gets a little tricky, but the rehabilitation training deferment is available to those borrowers who are admitted to a full-time rehabilitation training program that’s licensed or approved by the Department of Veterans Affairs to provide rehabilitation training to disabled individuals or that’s licensed or approved by a state agency responsible for vocational rehabilitation, drug abuse treatment, mental health services or alcohol abuse treatment. Parent borrowers with an outstanding PLUS loan disbursed on or after July 1, 1987, but prior to July 1, 1993, or who had a loan disbursed before July 1, 1993 already when they got another loan after July 1, 1993 can defer the PLUS loan payments if their son or daughter is a student at a qualifying rehabilitation training program. The best thing about the rehabilitation training deferment is that it doesn’t have any time limit, so it lasts for as long as borrowers need it to last, making it extremely valuable to those who are facing serious disability issues. Those with their first Stafford or SLS loans disbursed before July 1, 1993, or parent borrowers with PLUS loans disbursed before August 15, 1983, can qualify for a tax-exempt volunteer deferment by volunteering for a tax-exempt organization and making no more than minimum wage. Additional qualifications include that the organization must provide services to low-income people or low-income communities, and that your service period with the organization has to be scheduled for at least one year. This deferment comes with a maximum time limit of 36 months. Those individuals with the first student loan disbursed before July 1, 1993 can take advantage of the temporary total disability deferment program, which allows you to defer federal student loans for up to 36 months if you are disabled, or if you care for someone who is. To qualify, you must be temporarily totally disabled, meaning that you can’t work and earn money, or attend school, for a period of at least 60 days and due to some injury or illness. You can also qualify if you aren’t able to work because you’re forced to provide continuous care for a dependent or spouse who is temporarily totally disabled due to an injury or illness, and over a period of at least 90 days. Working mothers who have young children and return to the workforce after leaving school, but make no more than $1 per hour over minimum wage are eligible for the working mother deferment, if they have a qualifying loan. Unfortunately, that if is a pretty big one, since this deferment program is only available to those borrowers whose first Stafford or SLS loan was initially disbursed between July 1, 1987 and July 1, 1993. PLUS and consolidation loans don’t qualify for this program. To be eligible for the working mother deferment, you’ll have to be a mother of a preschool-age child, just entering for the first time, or re-entering the workforce, employed at a full-time position, but earning a wage (hourly or salary) that’s no more than $1 per hour higher than the minimum wage rate. This deferment is pretty tough to qualify for given the date restrictions, but it does allow you to defer your federal student loans for an entire 12 months, so it’s quite valuable if you fit the targeting restrictions. Even if you don’t qualify for any of the student loan deferment programs mentioned above, you still might be able to qualify for a loan forbearance program, which offers similar financial assistance to borrowers in need. Federal student loan forbearance programs aren’t as clear-cut as deferment programs, with qualifications left up to your loan servicer and discretion for your approval at their fingertips. 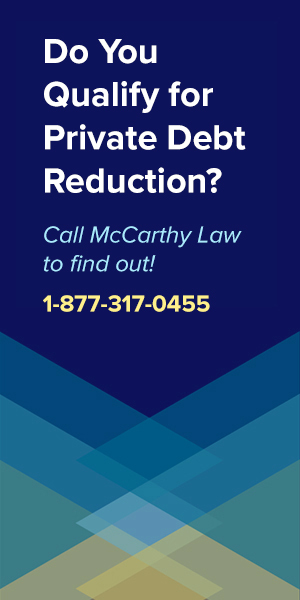 Additionally, forbearances don’t typically last as long as deferments do, and are usually only offered for cases of serious financial hardship or major illnesses. Unlike deferments, and this is a major downside to forbearance programs, interest always continues to accrue on your loan (whether its subsidized or unsubsidized), which is a significant issue in the long-run. Since interest continues to accrue, even though your loan is paused, you’ll end up owing more than you did previously, and facing higher monthly payments, once your forbearance period ends. Once your forbearance ends, that interest that accumulated gets capitalized, meaning that it’s added to the principal amount of your loan, which could significantly increase your financial liabilities. 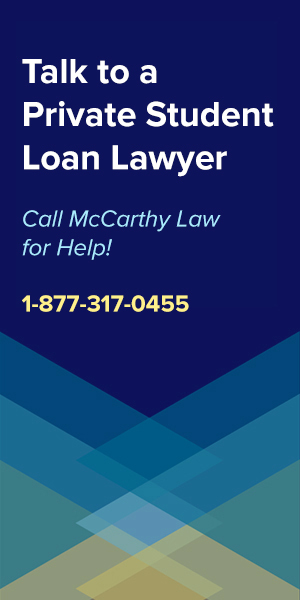 We only recommend pursuing a student loan forbearance if you’re really having trouble making those monthly payments, and we certainly suggest using this forbearance calculator to find out just how much more your loan will cost in the long-run once your interest gets capitalized. Don’t agree to forbearance unless you don’t have another choice, since you stand to cost yourself significant sums of money (thousands to tens of thousands of dollars) in the process. There are deferment programs for private student loans as well, though they’re not guaranteed to be available to any particular borrower, or for any particular type of private student loan. 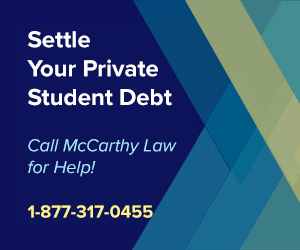 If you’re having trouble making your private student loan payments, your best bet is to contact your lender to ask for information about the types of Private Student Loan Relief Programs they have available. It’s possible that you can get significantly better financial assistance from programs that are way more valuable than a deferment, like those offering Private Student Loan Forgiveness, Private Student Loan Consolidation, Private Student Loan Bankruptcy Discharges or other form of monetary aid. If you’ve got additional questions, feel free to ask them in the comments section below. I’m happy to offer you advice for your specific situation, and I’ll do my best to get you an answer within 24 hours of posting your comment. 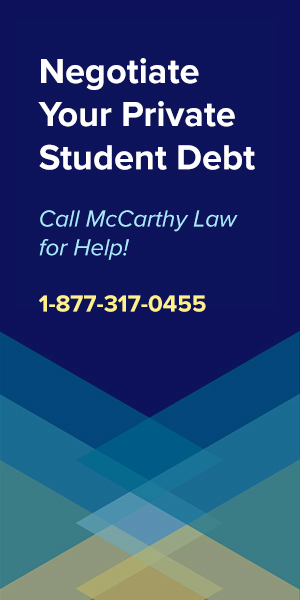 If this page helped you figure out how student loan deferments work, please do us a favor and share it with your friends. Linking to me from your blog, liking this site or this page on Facebook, +1’ing it on Google+, or even Tweeting out the URL will go a long way toward helping me raise awareness of the student loan crisis, and increasing the odds that those in need can find a way to forget about their student loan debt. I thought I’d qualify for the financial hardship deferment, but according to this criteria, there’s no way in hell! Who can actually survive at the income levels they’re requiring to qualify for this program?